Take I-4 to Lake Mary Boulevard Exit 50. 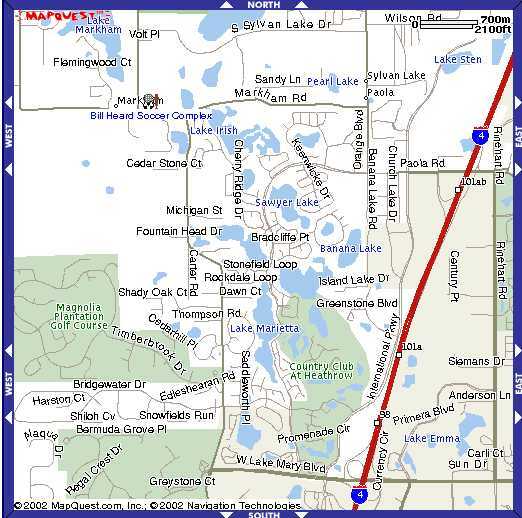 Take Lake Mary Boulevard West until Markham Woods Road. Take Markham Road West for 200 yards.